Highland Park produce some really great whiskies. In fact, I consider the Highland Park 18 year old as a benchmark whisky against which I measure others. Gerry Tosh, Global Marketing Manager for Highland Park, is heading over to SA to share his passion and some of his whiskies with us. WTF: Hi Gerry, can you give my readers a bit of a background on yourself and Highland Park? GT: I’ve been with the company now since 1998 and joined the Highland Park team as their first Global brand ambassador in 2002. It was the best job in the world as you could travel around meeting new people all over the world but with one common love for whisky. It was superb and now we have a small army of ambassadors around the world, including Candice who is in our South African army, delivering world class education for Highland Park. Now I’m responsible for the brand worldwide so basically I’m a poacher turned game keeper and I would argue that this now is the best job in the world as I get to come up with new ways of telling the Highland Park story through whisky and letting the whisky world taste some amazing bottlings. WTF: Will this be your first time out to South Africa? GT: No I’ve been out many times before and really enjoy coming out especially when the snow is blowing here in Scotland. WTF: What are your impressions of the country and its people? GT: I’ve always had a hell of a lot of fun in South Africa and it’s changed so much in the 10 years I’ve been coming. Especially when it seems that most times I’ve visited South Africa seem either to be beating England at rugby or Cricket… Sometimes it’s the small pleasures in life that make you happy. WTF: Will you be attending both the Soweto and Sandton legs of the festival? GT: Just Sandton this time as I’ll be flying in from Hong Kong so can’t manage to do Soweto which I would have loved to visit again. WTF: Can you give us more info on the workshops you will be hosting at the Sandton leg? WTF: Which Highland Park whiskies will be available for visitors to the festival be able to taste? GT: Guests at this year’s whisky festival will be able to taste Highland Park 12 and 18 year old. WTF: And what about any of your more recent releases, like the Warrior series (Svein, Einar, Harald, Sigurd, Ragnvald and Thorfinn)? WTF: Tell us a bit more about the Warrior Series – the vision behind the releases. GT: At Highland Park we like to tell stories and teach people something new about our whisky or our history and this range does both. We bring to life the warriors who are famous in Orkney history and at the same time take you on a journey through the magic of how our sherry casks effect flavour. GT: Unfortunately not, the South African market only offers Highland Park 12 and 18 at this time. If you have an Android smartphone and want to give it that Orcadian feel, you may want to try out my Highland Park NoLed theme. GT: Because of the way we work the HP team speak regularly to our local team and I can’t wait to to see them again in person at the festival. GT: For me my favourite (currently, as your palate changes) is our 21 yo. It is a barnstormer of a whisky. It holds nothing back in terms of flavour, it has the sweetness you’d expect from HP but has an intense dryness that just makes it sublime. WTF: And in conclusion, what is your favourite non-Highland Park whisky and why? GT: Tricky one for me as it really depends on the mood but one whisky that has me really excited is Cutty Sark Prohibition. I love the story, the history and the whisky is superb… Maybe it’s because HP is in the blend. Thanks for your time Gerry, I look forward to meeting up with you for a dram at the festival. Folks, if you want to taste some of the Highland Park Warrior Series, you had better get your tickets quickly. 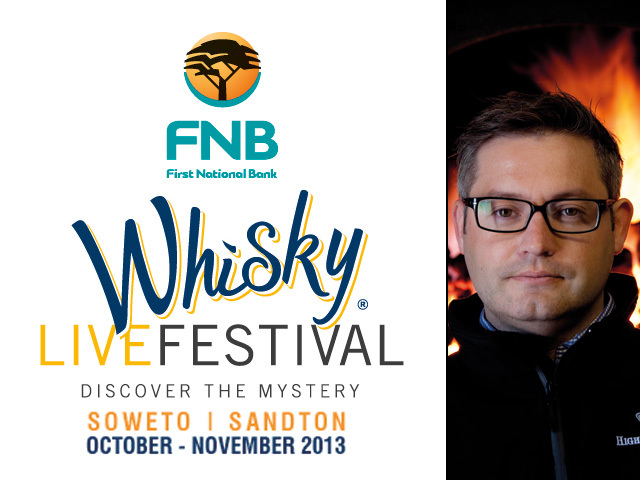 Head on over to my 2013 FNB Whisky Live Workshops Guide for more details.